This incredible map was created by Gary Sick of the Gulf 2000 Initiative at the Columbia University. I have recently come across it on The Gulf Blog and found it very intriguing. 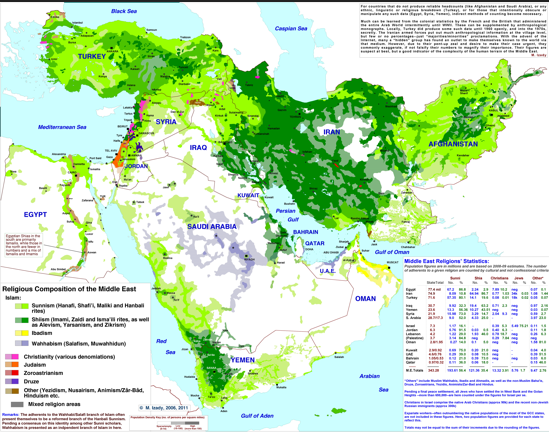 I think it's certainly worth sharing and will be of interest to all people interested in religions of the Middle East.